The Commander is a skittish butterfly and is usually very alert to movements and is a difficult butterfly to photograph. However, there are times when it is hungry and is sufficiently distracted whilst feeding or puddling. In the photograph above, ButterflyCircle member Sunny Chir took the opportunity to photograph the Commander whilst it was busy feeding on the ripened fruit of the Singapore Rhododendron in the forested nature reserves. 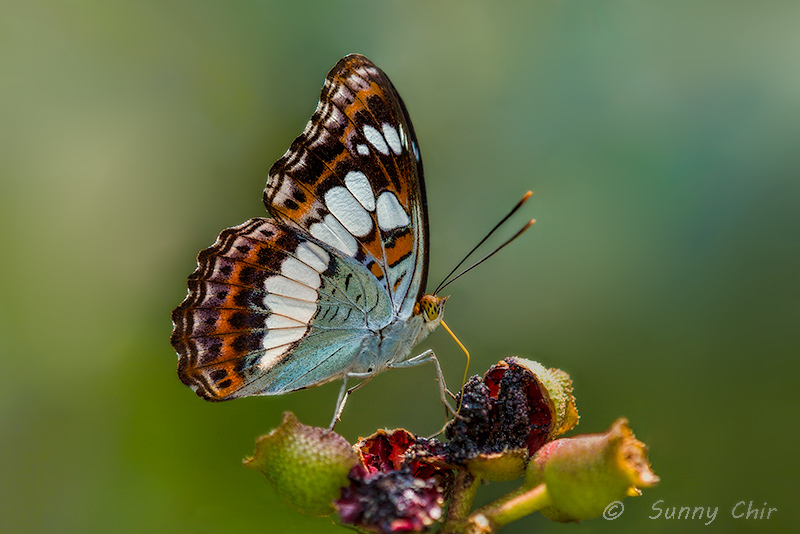 Note the well-balanced position with the spread mid- and hind legs of the butterfly as it probes its proboscis into the sweet fermenting juices.